Does buying a flat-faced dog increase suffering? Dogs such as Pugs, Boxers, British and French Bull Dogs, and King Charles Spaniels are incredibly popular. It’s easy to see why; they look cute, they’re relatively small, don’t need as much exercise as some breeds and they have been adopted as the accessory of choice by a number of celebrities. Despite the adoration, breeds with flat faces have been in the news because vets and animal organisations have urged potential owners not to buy one of these dogs because of health problems linked to their breeding. Sean Wensley, president of the British Veterinary Association, says that the trend for flatter faces has led to “increased animal suffering”. Breeds with short noses are known as brachycephalic dogs. 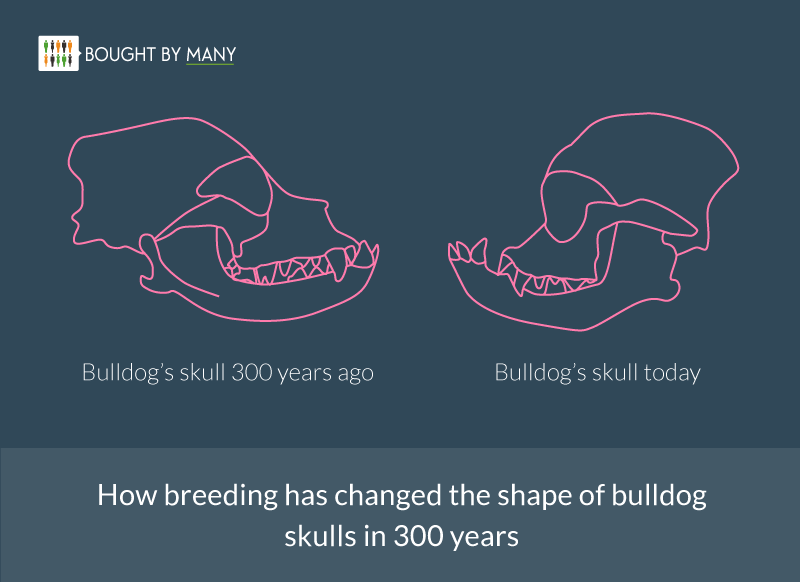 Not all brachycephalic breeds have historically had health problems but over time their noses have become flatter and flatter. This has led to breathing issues, poor temperature control and dental problems. These conditions often need serious vet treatment such as surgery. That can be stressful for the pet and owner, and vet fees can cost a lot. Pippa Mattinson, the author of pet handbooks and owner of the Thehappypuppysite.com, says that "many, many people looking for a flat-faced puppy are still unaware of the issues that lie in wait for them". She recommends people avoid these breeds because the dog’s chance of a healthy, happy life is so compromised and because buying such puppies creates a demand that leads to more puppies with problems being bred. Pippa does say that "rescue is an option for someone who dearly wants a flat-faced dog. But they need to be aware of the problems that may lie ahead". She believes pet insurance is "a very important part of owning a brachycephalic breed" because of the surgery they may need to help them breathe. If you’re interested in pet insurance, we’ve ranked to the 10 best pet insurers and you can access exclusive discounts through our groups for Pug, Bulldog, French Bulldog and Boxer owners. Operations to correct breathing problems can run into hundreds and even thousands of pounds but pet insurance can cost a fraction of that. Do make sure specific conditions are not excluded from cover. They may be if your pet has already received treatment for it, in which case it could be classed a pre-existing medical condition. Pippa also says: "Regular veterinary check-ups are vital and so is being aware of the symptoms of respiratory distress. Noisy breathing, gasping and snorting may sound funny or cute, but these are signs that all is not well. Never accept respiratory distress as being the norm for your dog, but seek veterinary help at an early stage." It is not just the British Veterinary Association that believes this. The message to consider healthier breeds is supported by the PDSA, the Royal Veterinary College and the RSPCA. Short-muzzled dogs can even have problems eating and some airlines will not allow them to fly because of their health issues. In America, Delta has a ban on Bulldogs flying in the cargo hold and United airlines will not let many short-nosed breeds, including Pugs and Shih Tzus, fly at all during summer. At Bought By Many we love all breeds (see our walk with 30 pugs) and believe they deserve access to fair-priced vet treatment. However, prospective owners should listen to the advice of experts on flat-faced breeds and consider whether it's best to buy a dog that could experience pain and develop serious conditions because of its breeding. The reason this breeding continues is because people continue to buy pets with these features. If owners opt for healthier dogs it could send a message to breeders to focus on healthy brachycephalic characteristics. Pippa says kennel clubs also have a responsibility to enforce requirements for good health and a "minimum muzzle length in all dog breeds would be a great start". Read more of what Pippa has to say about brachycephalic breeds here. Check out our guide to the 10 best pet insurance policies for dogs. Or join one of our groups for specific breeds to below to access exclusive deals on pet cover.